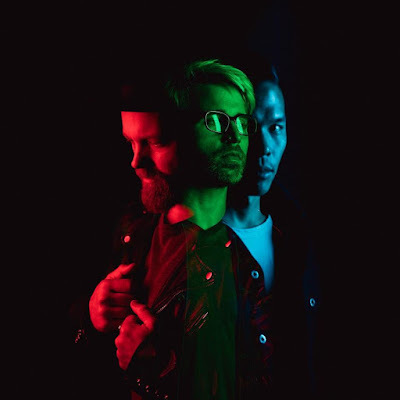 Los Angeles-based trio The Glitch Mob have unveiled their fourth and final single ahead of the release of their forthcoming album See Without Eyes, on Friday, May 4th. The single is called Go Light and it's a vicious cut, giving listeners a final look at what The Glitch Mob have in store for their third full studio album. Go Light embodies all factors that comprise The Glitch Mob’s distinct sound. It features their signature Glitch Mob electro trip-hop sound, sure to impress listeners at home, and on the live stage. Go Light is an instrumental peppered with cutting-edge chops, a crescendo of drums and a progressive sequence, building to a euphoric climax. Watch its official music video (produced by Strangeloop Studios) below! The Glitch Mob’s forthcoming album, See Without Eyes, is a product of the groups’ personal and musical evolution over the past four years. The Glitch Mob are currently on their world tour, and will making their way through North America starting May 11th in Edmonton, Alberta at Union Hall. Fans of the band can also RSVP below for a private screening of 'See Without Eyes' on May 3rd in Los Angeles, which the band created in partnership with Strangeloop Studios and Dell and will be presented in Dolby Atmos.